For Trade Show Backdrops, Tension Banner Stands for displaying Company Signage. Banner stands come in a variety of forms. Here at LDS, we sell aluminum truss banner stands that can either be free standing and independent, or incorporated into product displays and trade show displays and used as a trade show backdrop or a photo backdrop / photo back wall. LDS Banner stands are made with aluminum ladder truss (Flat Truss) that Flat Packs into a small, lightweight pile that is easy to transport. Similar to banner display stands, we also offer simple Banner Frames, a simple and effective way to frame company banners and attach onto any trade show display or finish line to help make the banner stand out. All of our banner display stands and banner frames can be custom fabricated to any dimension and shape. We also have a large variety of Media Towers. 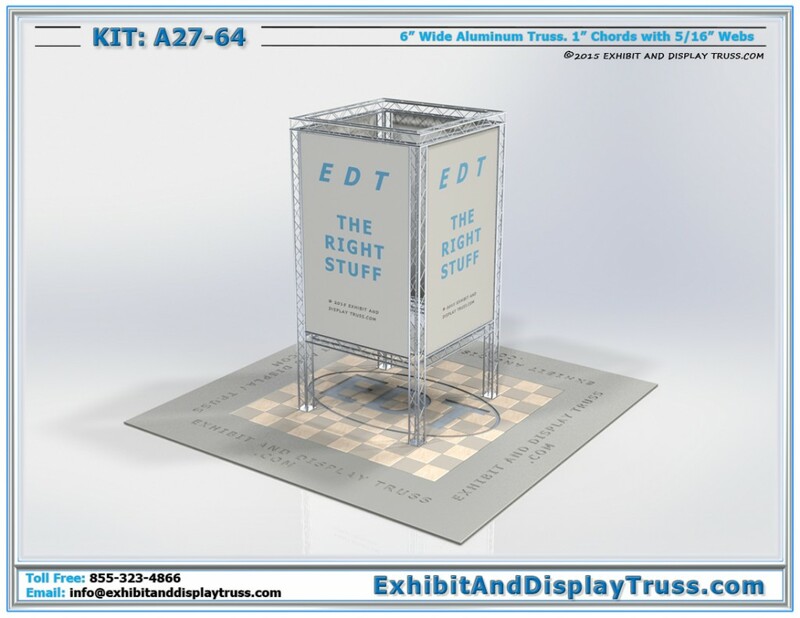 These are additional structures that can exist on their own or used with existing trade show display. 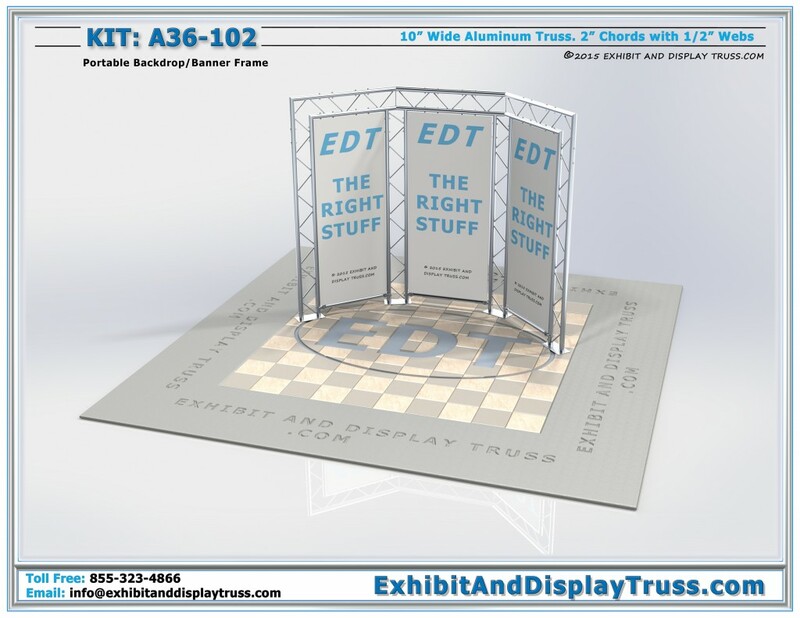 These stand in the middle, and stand high, able to be seen from multiple directions, making your booth more visible to others in a convention center.